Does it seem like no matter how early you put your children to bed every night they still end the day cranky, tired and overstimulated? A new study reinforces the link between sleep and school success and also suggests that parents can help their children sleep better by changing what they eat. Welcome to this week’s Babyology Nutritional Bite where we serve up family-sized nutritional advice from our expert nutritionist and mum, Michele Chevalley Hedge. “The underlying reason many children have trouble concentrating and end up cranky has less to do with how much sleep they are getting and more to do with their quality of sleep,” Michele says. The University of Oxford published a study looking at levels of long chain omega-3 in the blood, as well as the sleeping patterns in 395 healthy, seven to nine-year-old school children. The children were selected based on poor reading abilities rather than on poor sleeping patterns. However, when their sleep was assessed as part of the study, 40 per cent of the children had clinical-level sleep problems. What this study suggests is that poor performance in learning may be related to sleep. This you probably already knew. But what you may find surprising is that the underlying reason for a poorer sleep in the children involved in the study was due to low levels of the omega-3 fatty acid DHA. DHA is is major omega-3 fat in the brain. During the study the children were all given either a DHA (fish oil) supplement or a placebo for 16 weeks. Those given the DHA supplement woke up less and slept on average one hour longer than those on placebo supplements, supporting the evidence that DHA influences quality of sleep. 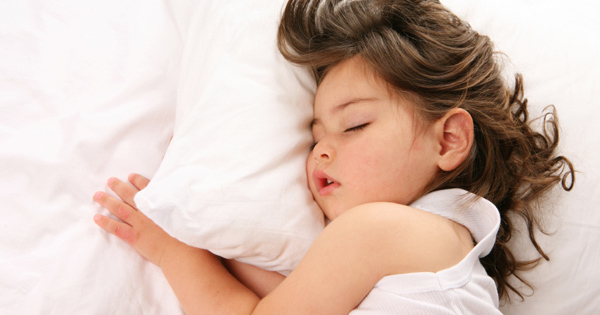 Helping your children get a better quality sleep can easily be achieved by adding omega-3 foods into their diet. We can receive good quality fats from a variety of sources including coconuts and coconut oil, avocados, seeds and nuts, fish (like salmon, trout and sardines), olives and oils like olive oil, walnut oil, flaxseed oil, hazelnut oil, macadamia nut oil and almond oil. 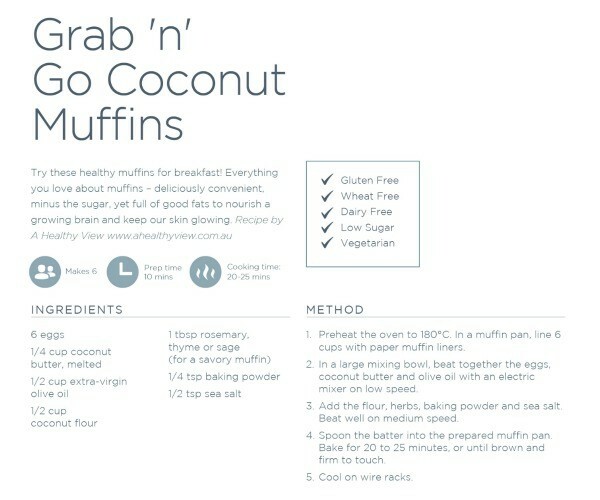 These grab ‘n’ go coconut muffins are a great way to start the day or as an after-school snack. 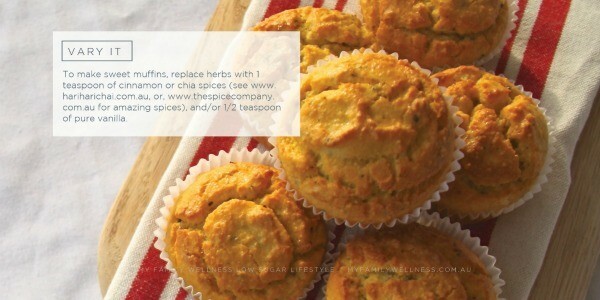 Double the recipe and freeze some to add to the school lunch box. Check out the Low Sugar Lifestyle program, a 28-day online program designed for busy parents looking for healthier lifestyle choices. 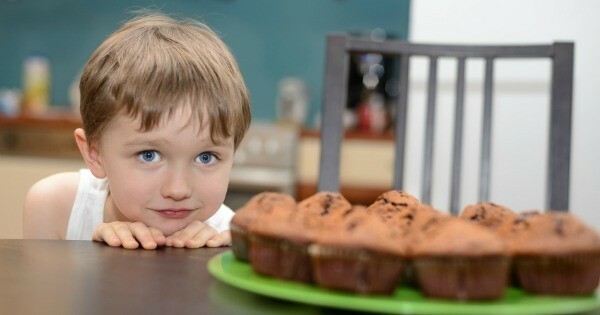 Stay tuned for next week’s Nutritional Bite when we will have another batch of healthy hints from Michele, a Jamie Olive Food Revolution ambassador and founder of the My Family Wellness Low Sugar Lifestyle program.